On an international stage, the support of your country is everything. For the U SPORTS Women’s Hockey All-Star Team and Canadian Women’s Futsal Team, they are feeling the support before even taking to the field of play. Both teams will be showcasing their prowess in their respective sports and will be representing Canada and U SPORTS this summer. The U SPORTS Women’s Hockey All-Star Team are to attend 2018 Hockey Canada Summer Showcase in Calgary to go head to head with Team Canada and Team Japan, while the Canadian Women’s Futsal Team heads to Almaty, Kazakhstan to represent their country in the 2018 FISU World University Futsal Championship. While the opportunities are significant, the costs involved can be daunting. The teams accepted the cost to prove their skill, but knew that they would need some help along the way. For this, they turned to the online sports fundraising program RallyMe. 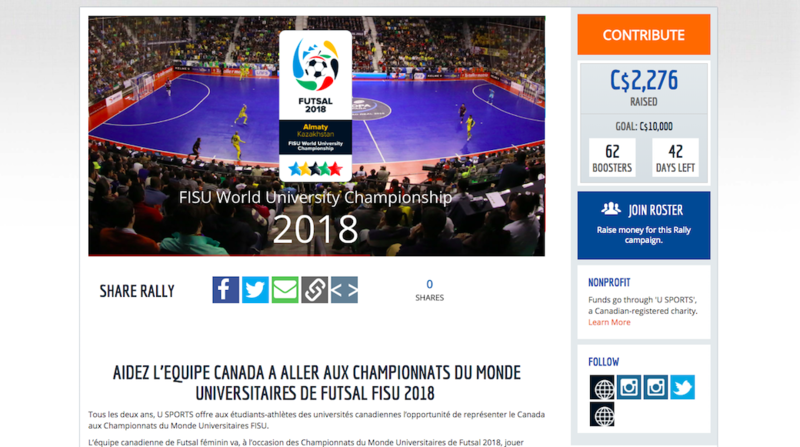 The Canadian Women’s Futsal Team, in particular, faces a heavy financial burden to represent their country in the World University Championship. 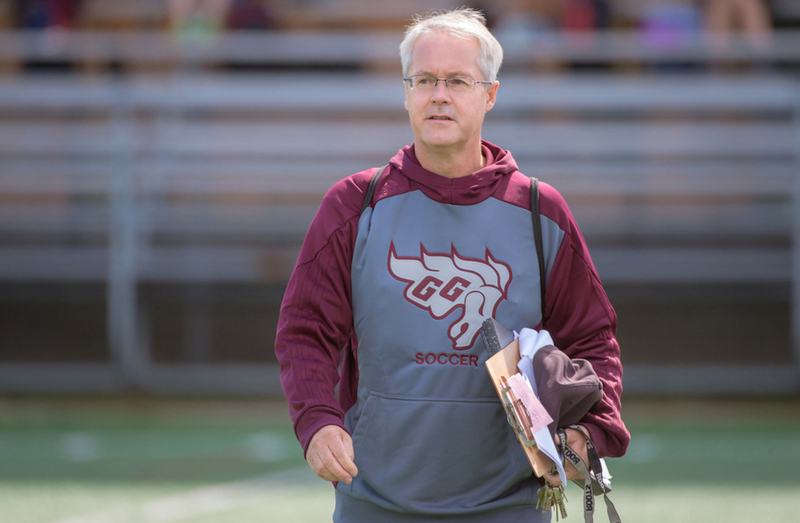 Consisting of top U SPORTS athletes, the individuals have had to fight their way to the national team and are not ready to let anything stand between them and international competition. Having to travel across continents for a growing sport, the team also carries the weight of the country and the future of futsal on their shoulders. Traditional sponsorship has aided the team, but they needed something more innovative. As the tournament rapidly approaches, the team’s focus has to remain in competition rather than hunting for funds. While the teams have primarily relied on family and friend donations to this point, they turn their attention to Canadian sports fans. Having just begun looking for outside support, the team has been humbled by the interest and generosity they have experienced before truly reaching out on a large scale. For the team, the process has only just begun. Teams will continue to accept donations throughout the tournament to aid their costs and ensure they can provide the top level of competition. In the meantime, the call is for support to the teams as they exemplify the level of sporting talent in Canada by any possible means. In return, Da Rocha promises that the Canadian Women’s Futsal Team will deliver only the highest level of performance. While the programs intend to move towards a model to fully and actively support these initiatives, they are currently reliant on the support of their fellow Canadians and sports enthusiasts. They are fully qualified and prepared to represent their country, they just need some national teamwork. 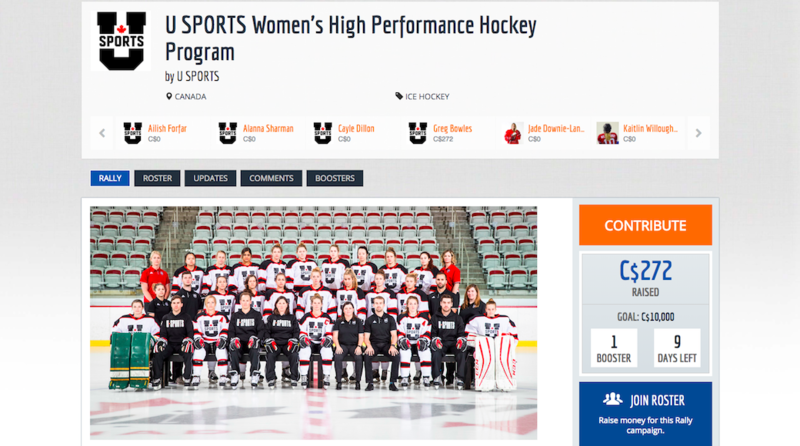 You can provide donations to the U SPORTS Women’s Hockey All-Star Team and Canadian Women’s Futsal Team here and here to contribute to the growth of these programs on major stages.